I love this coat (Esprit) for the time between winter and spring, when the weather is not really cold, but also not really warm. 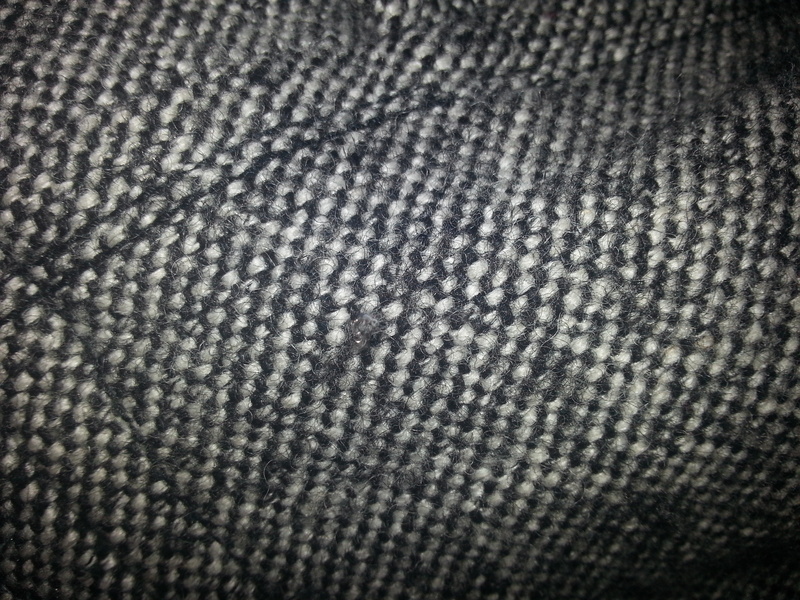 The fabric is a mix of black and white stitches and looks very classy. The entire outfit reflects those two colors. I was wearing a plane, but classy white shirt (Vero Moda) and black Jeggings (Armani Exchange) with black ankle boots (Steve Madden). 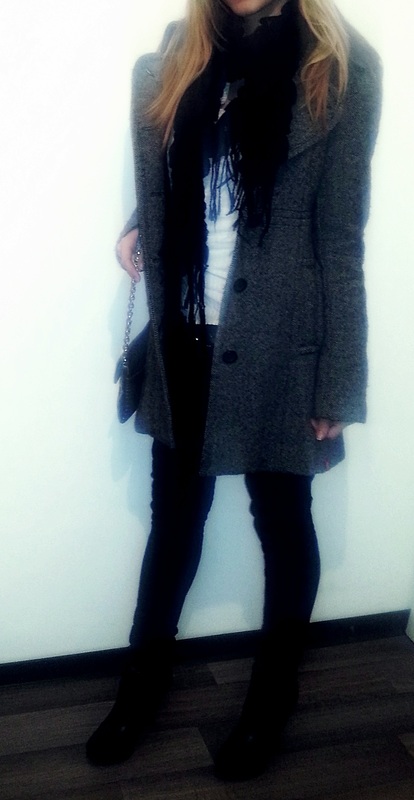 As accessories I took a black scarf ( Capelli New York), a silver watch (D&G) and a gray-silver purse (Nine West). I kept my coat open.